While all high schools aim to ensure students maintain a certain level of academic rigor, the degree to which students persist through challenging academic tasks varies. 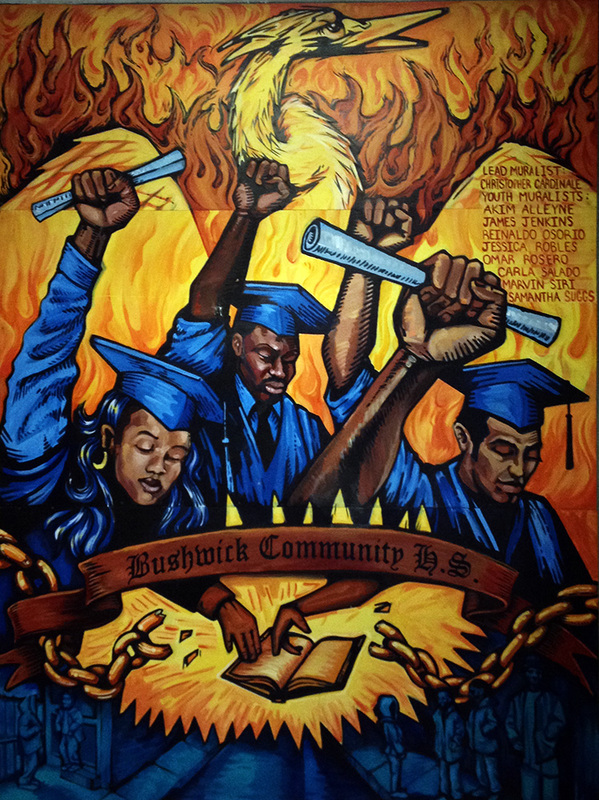 In 2011, leadership at Bushwick Community High School (BCHS), a school serving students who have not met with success in traditional high school settings, decided the school needed to improve its focus on academic rigor to help students continue their education and earn a diploma. That year, four teachers at BCHS formed the Academic Rigor Research Team (ARRT), and the school asked Eskolta to help them investigate how they could incorporate a culture of achievement into BCHS’s existing school model. During facilitated discussions, the ARRT examined practices used during the previous school year. Teachers brainstormed behaviors they had seen, or aspired to see, in the classroom that would indicate students were learning skills to succeed in college and later in life. Aiming to address the shortcomings in academic rigor, all members of the AART decided to focus on how students understood the goals of their learning and used these to improve. To do this, they developed Goal Assessment Sheets. The Goal Assessment Sheets and accompanying assignments gave students space to reflect on prior work; many assignments included a column requiring students to explain their efforts. Math teacher Kevin Ehly designed sheets that required students to recalculate their grades so that they could identify the areas that needed the most work. The Goal Assessment Sheets also reminded students that after-school help was available and clearly showed students which of their assignments were incomplete. The structures and systems developed by the AART helped students find clarity and helped teachers target support. As Ehly explained, “The biggest impact that the work with ARRT had was in creating transparency with students around what assignments were being offered and the impact that the assignments had on their final grade. This empowered students by giving them a sense of ownership over their grade. One of the key aspects was a place for students to track their grades/progress.” By increasing students’ sense of ownership over their grades, the ARRT’s work ultimately helped build students’ persistence—an academic behavior necessary for students to tackle and complete challenging academic tasks.